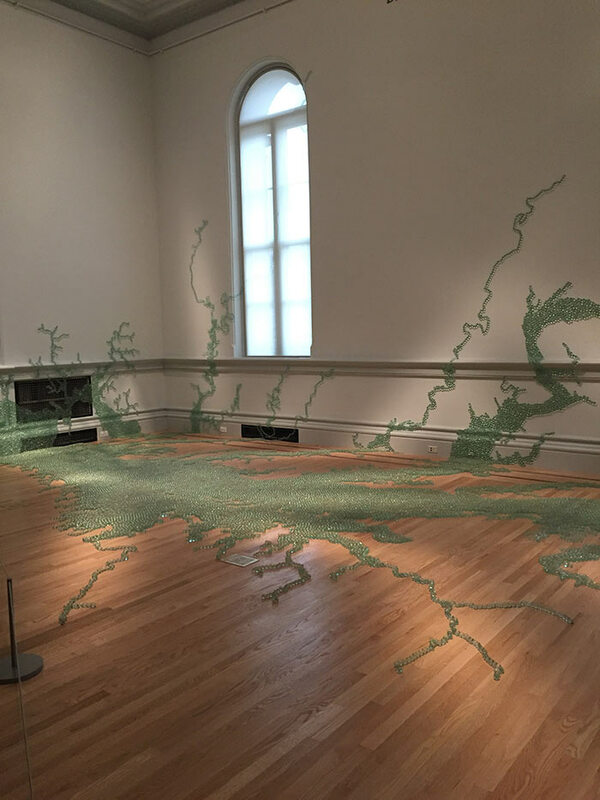 Last month I had a chance to stop by the WONDER exhibit at Renwick Gallery. 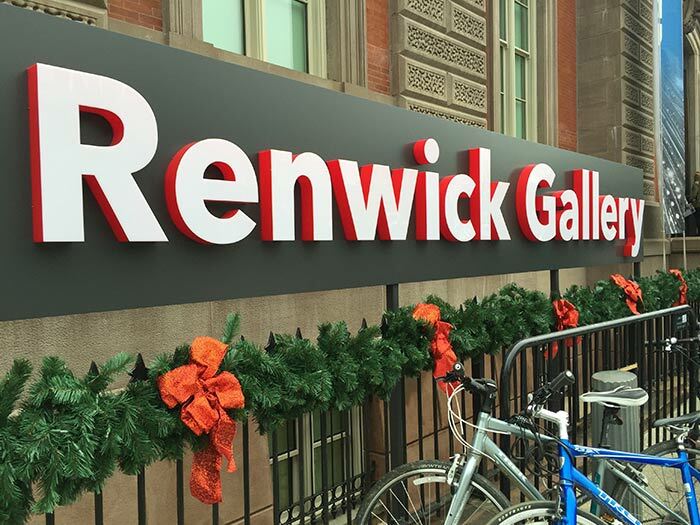 I was really impressed by what I saw there, and decided to revisit the exhibit the other day with a friend. WONDER is definitely one of the more inspiring exhibits I’ve seen in the DC area, simply because the artwork was so marvelous. 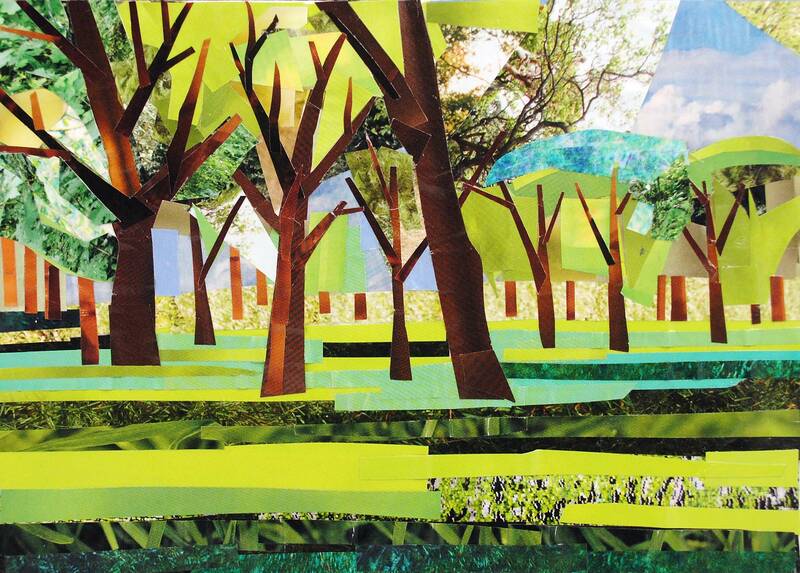 Each piece made a loud statement, and I liked each piece for its own complexity and beauty. 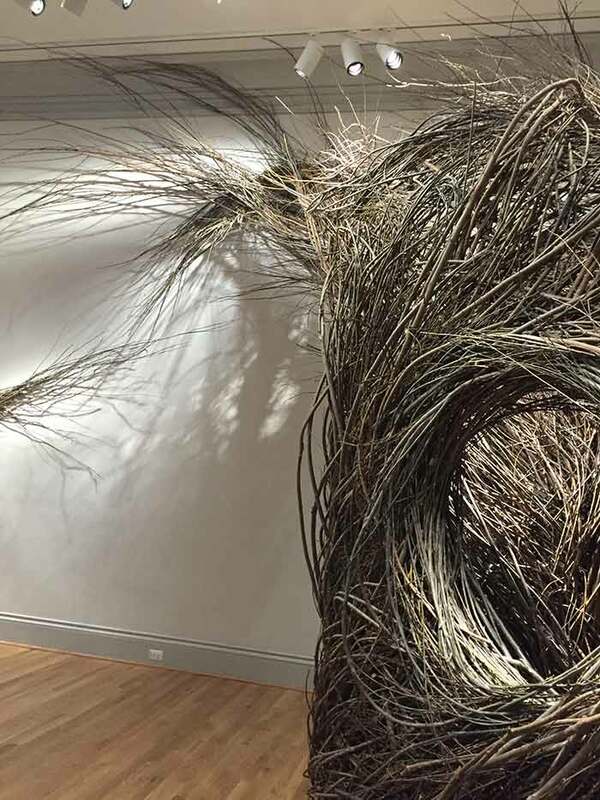 Patrick Dougherty’s willow saplings looked like magical swirls of nature. 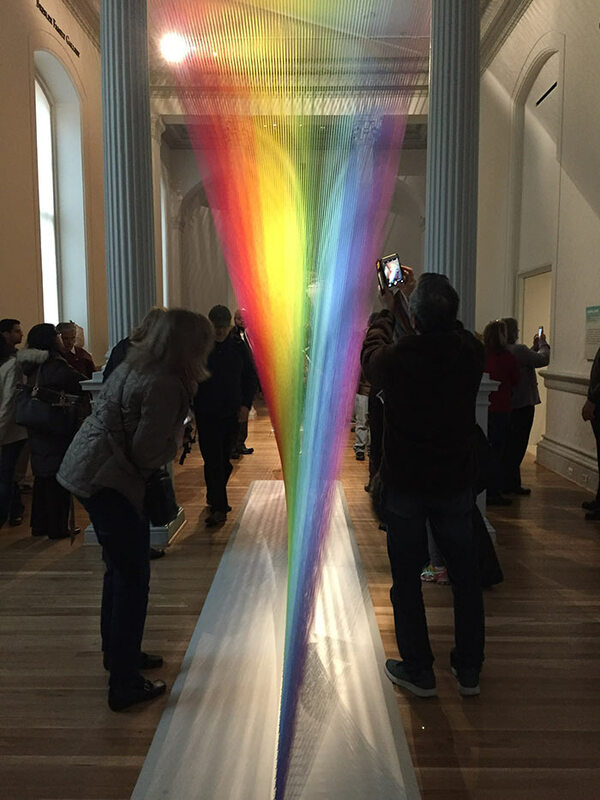 One of my favorite pieces of the entire show was Gabriel Dawe’s Plexus. I absolutely loved how he used thread to create a beautiful rainbow. 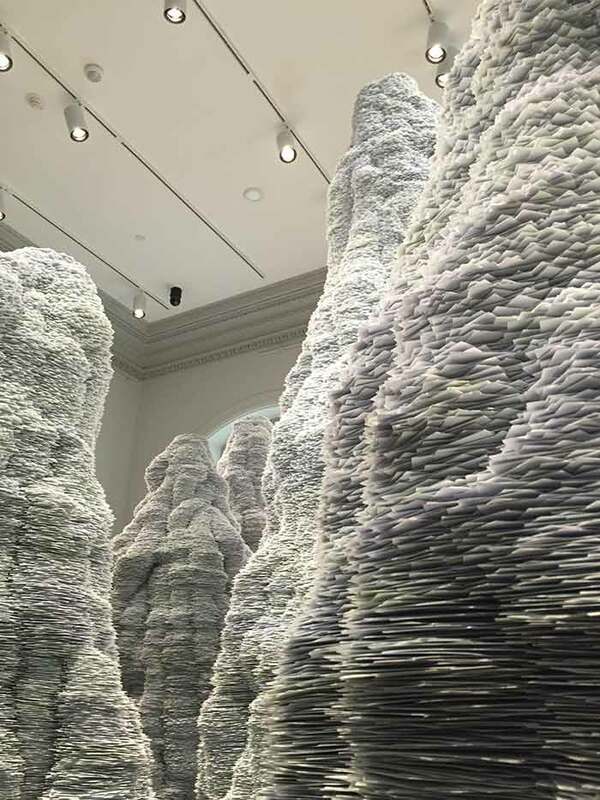 Tara Donovan’s installation included mounds of index cards that were stacked in such a way that they were reminiscent of rock formations. Another one of my favorite pieces was Janet Echelman’s knotted and braided fiber with programmable lighting and wind movement from above. 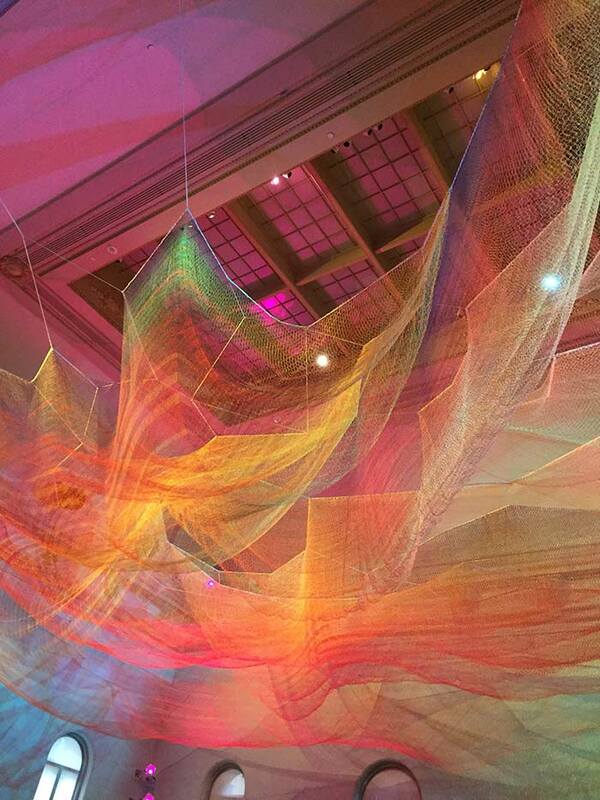 I loved how the installation was constantly changing colors. I felt like I was visiting another world when I looked up at the braided colors. John Grade’s Middle Fork was a beautifully made sculpture from reclaimed red cedar. 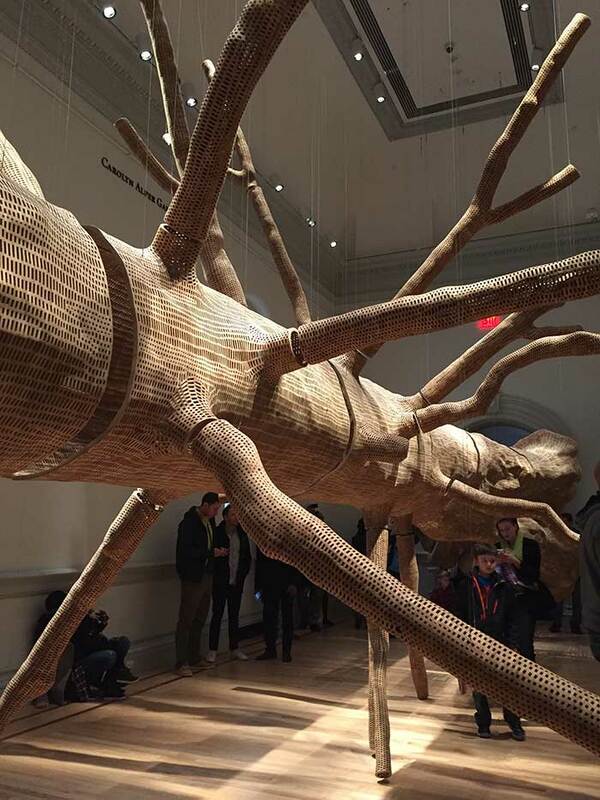 I thought it was poetic that he created a new tree from the remains of a former tree. 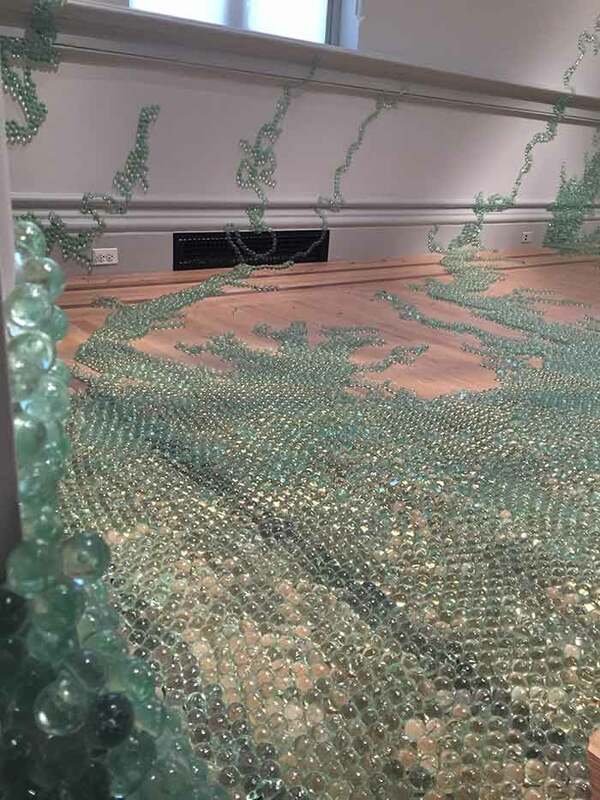 Maya Lin’s Folding the Chesapeake was composed of marbles that formed organic shapes the sprawled across the floor and along the walls of the exhibit space. Overall I thought WONDER was a gorgeous show, and I’m really glad I went to see it a couple of times. I feel really lucky to live in the DC area, where the Smithsonian provides free admission for these shows. This was definitely one of my favorites exhibits to date.